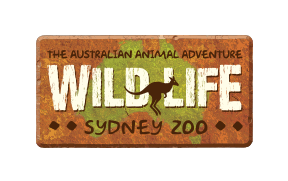 WILD LIFE Sydney Zoo’s education programs are a professional, curriculum-based education service. We treat our animals as an educational resource, presenting them alongside educative programs, which allow your class to identify the different requirements of Australian flora and fauna. Our curriculum based guided program are delivered by passionate educators, who inspire and engage students through the exploration and interactivity of WILD LIFE Sydney Zoo’s amazing zones. Topics: Habitats, External Features, Food Webs, Life Cycles, Adaptations, Conservation, Animal Hunt & Minibeasts. Topics: Classification, Food Webs, Biota, Conservation & Ecosystems.